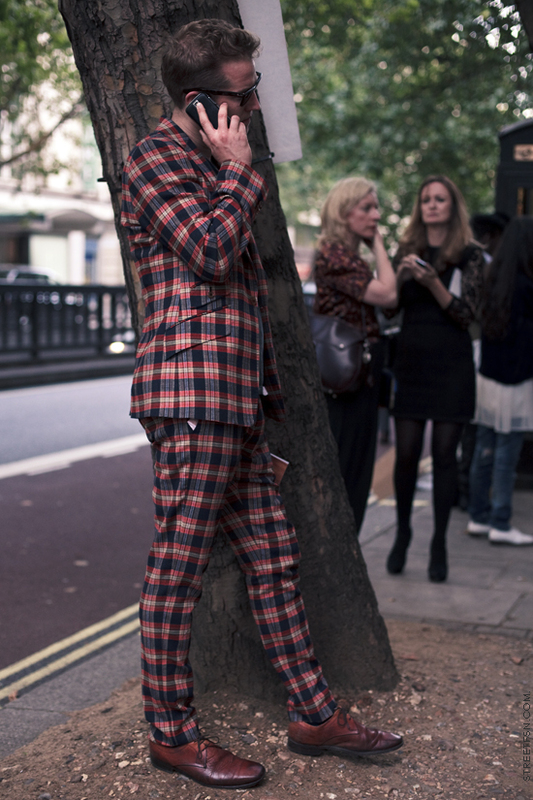 a cool guy wearing Paul Smith suit was talking on the phone leaning back on a tree. it was like, a cool ladybug on a tree. Clearly not for the faint of heart...well done! This guy looks fab. His worn in shoes are beautiful.